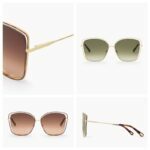 Does the lens colour of sunglasses affect your eye protection? 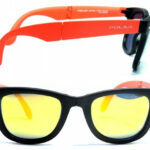 Nowadays sunglasses come in all colours and shapes. However we have to consider that all lenses don’t provide the same protection. 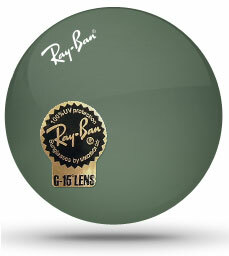 Lens tints are not indicative of the level of protection that a lens provides. Category rating number is just a classification that refers to level of lens tint intensity, how dark it is and situations in which it’s more suitable to use one category or another. 0 0 to 20% None or very light tint. Days with weak level of sunlight, cloudy weather. 1 20 to 57% Light tint. Days with average levels of sunlight. Not suitable for night driving. 2 57 to 82% Medium tint. Days with sunny weather in autumn, winter and beginning of spring. Not suitable for night driving. 3 82 to 92% Dark tint. Very sunny days, outdoor activities – the most usual coating. Not suitable for night driving. 4 92 to 97% Very dark tint. Snow, heights over 3.000 metres. Not suitable for drivers and road users. It’s essential to highlight that a higher category rating number doesn’t necessarily mean that a lens that offers more eye protection. 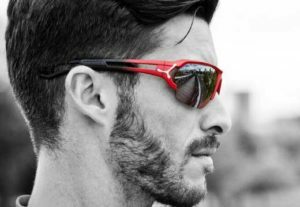 It simply means they are darker lenses because they’ve engineered for strong sunlight conditions. The level of protection of a certain lens depends on whether that lens blocks UV radiation and also on the quality of manufacturing materials. The lens tint doesn’t influence its level of protection against UV radiation either. 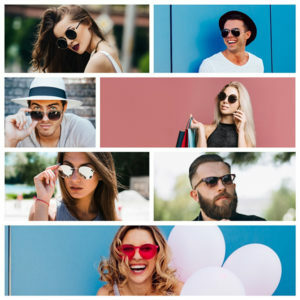 Some lenses without any tint or a very light tint provide 100% of protection against UV radiation whereas other quite dark lenses don’t block UVA radiation, just regular sunlight. Dark sunglasses without protection against UV radiation are especially dangerous. These shades only cope with sunlight, but they can’t block UV radiation. So the pupil dilates (because a smaller amount of light enters through it) and even more UV radiation strikes the retina, increasing damaging effects.